Speak to your customers and business partners in their native language. We provide support to you in the form of extensive interpreting services – on the phone, simultaneously in front of an audience or “whispered” into your ear over a headset. Our associates interpret for you in all 24 official and working languages of the European Union and in many languages and dialects from around the world. We will be happy to send you a quotation tailored to your specific needs. An interpreter doing simultaneous interpreting translates from one language into another while the person is speaking. 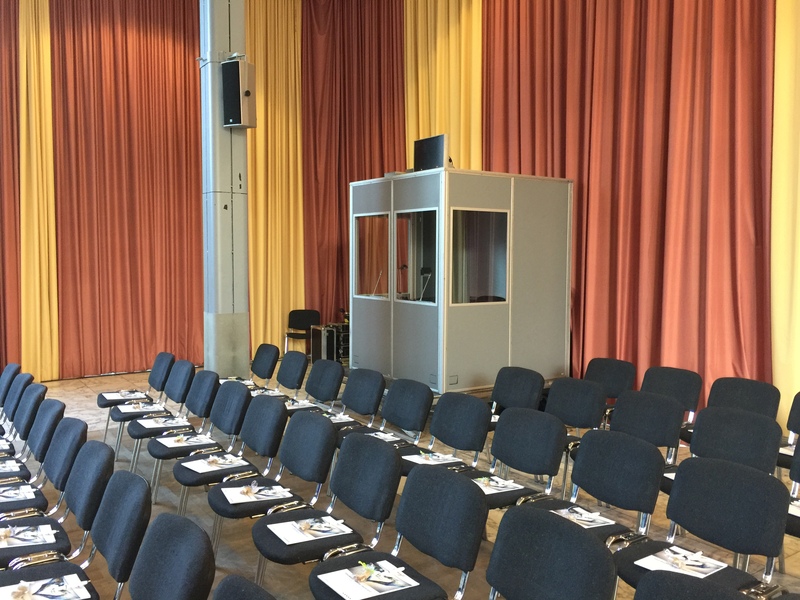 Simultaneous interpreting is frequently used during conferences or as part of market research. Theoretically, there are no limits to the number of listeners. If you want to have a conference call with one or more business partners who speak a different language, you can fall back on the services of a phone interpreter. The advantage: you are not tied to a specific location, nor is your phone interpreter. We offer phone interpreting into and from German and English into many foreign languages. Do you want to reach out to a mixed audience, half of whom speak your native language and the other half a foreign language? Then consecutive interpreting is the right service for your event. The procedure: While the speaker is talking in one language, the interpreter takes notes and then relays the information in the target language. Typical situations in which you find consecutive interpreting are bilateral meetings, cultural events and celebrations. The only disadvantage to the method: consecutive interpreting significantly prolongs the speaking time. Whisper interpreting – also known as chuchotage (from French chuchoter, “to whisper”) is a form of simultaneous interpreting during which the interpreter does exactly what the name suggests: he or she whispers into your ear. The “direct” variation has the interpreter sitting behind or next to the listener – during court proceedings, for instance. If there is a larger number of listeners or if there is a risk that other listeners will be distracted by the whisper interpreter, a microphone and radio receiver are used. 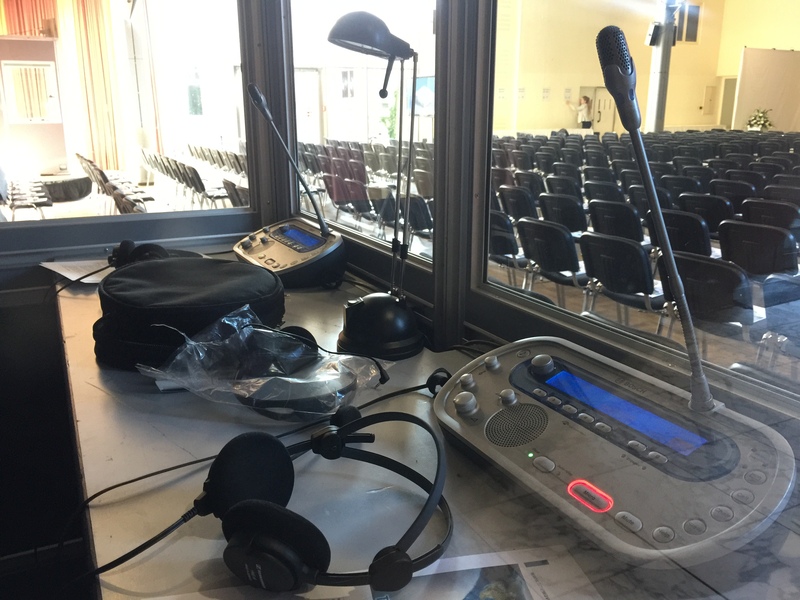 The nature of your event is the determining factor for conference interpreting. We consult with you to determine which of the interpreting options is best for you. If one foreign language can serve all of the participants, simultaneous translation is a good choice. In all other cases, consecutive or whisper interpreting are usually preferable alternatives.